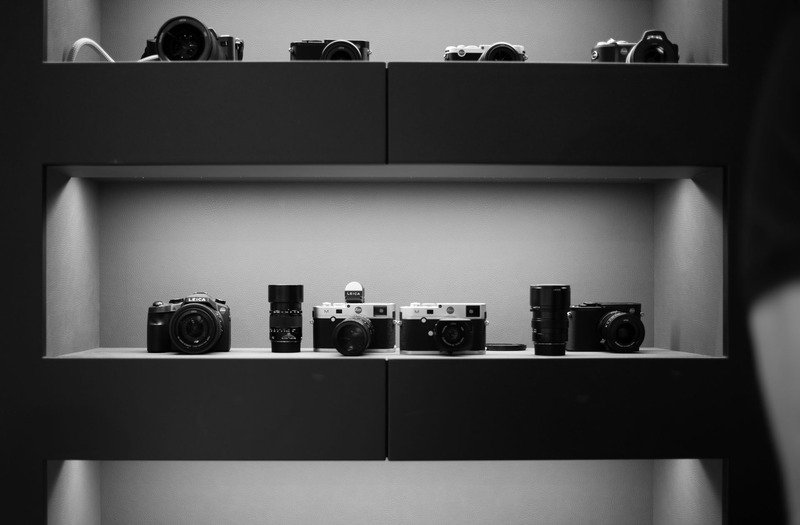 New cameras, new lenses and the world’s biggest accessory showroom are just the tip of the iceberg. 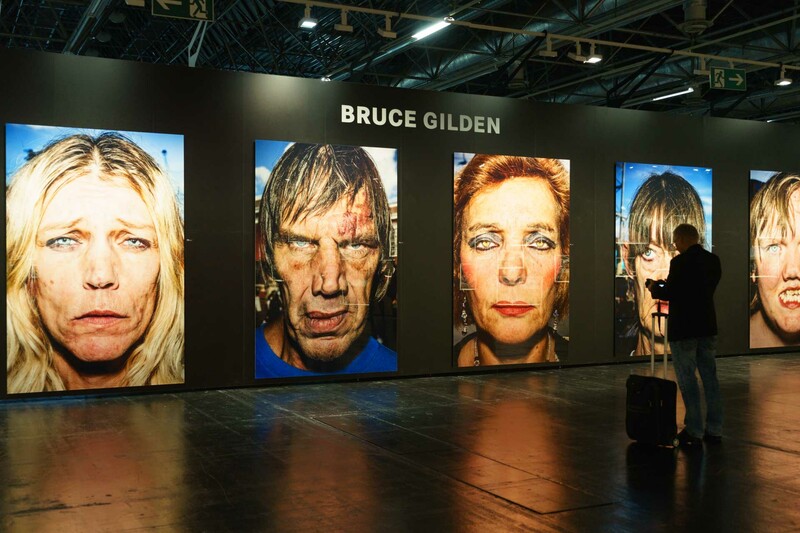 As usual, this year’s Photokina was one to remember. 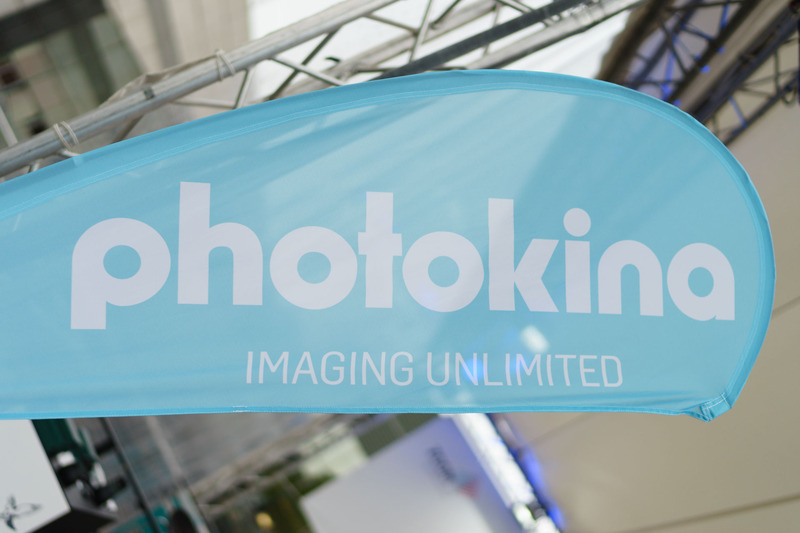 Photokina is the biggest photography trade fair in the world. 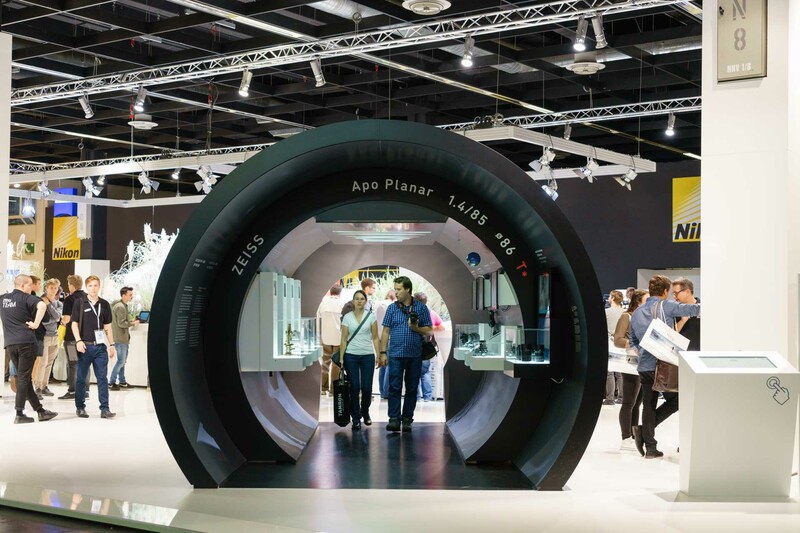 It takes place every two years in Cologne, Germany, where many companies take advantage of the big stage to announce new products and technologies. This year I had the opportunity to attend the event and get my hands on all the new shiny things that were announced, so let’s take a closer look. 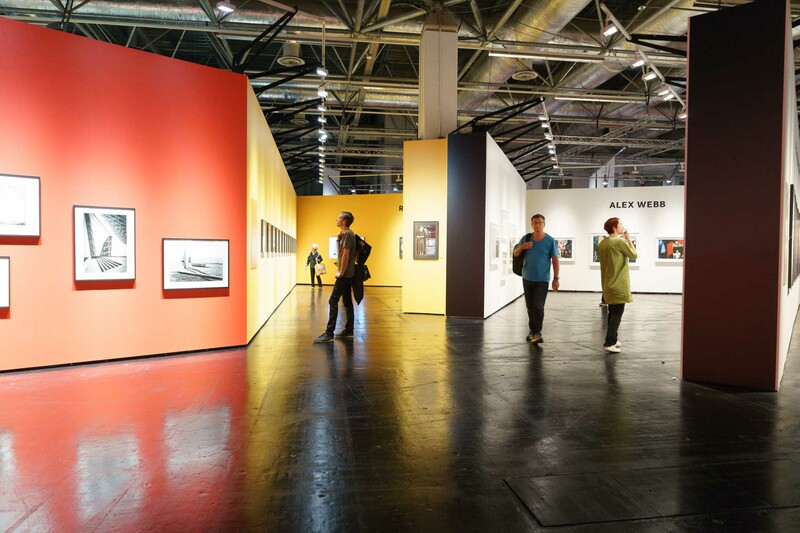 The first Photokina was held in Cologne, Germany in 1950, but it wasn’t until 1966 that the event moved to the Koelnmesse Exhibition Center and adopted the biennial schedule it still keeps to this day. 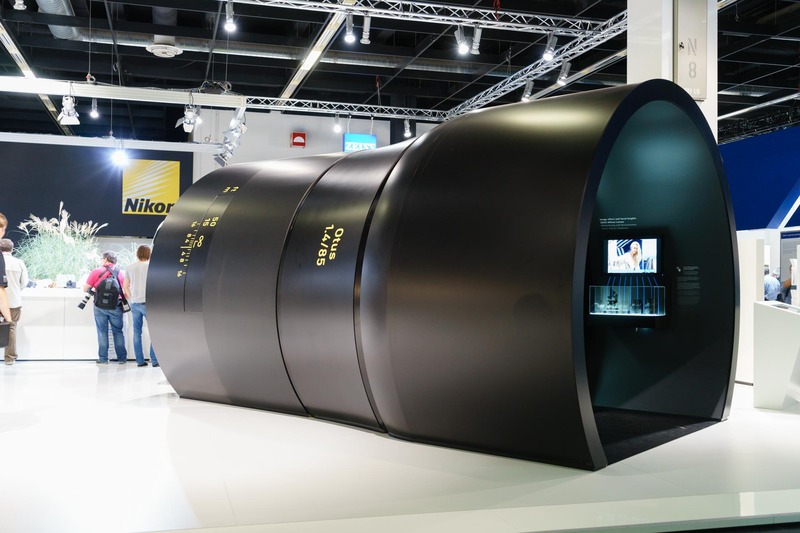 In terms of sheer size and scope, Photokina is an impressive sight. This year’s fair took up most of the halls in Koelnmesse, which is saying a lot. Overall, there were 983 different stands where companies from 42 different countries showed off their products and services. 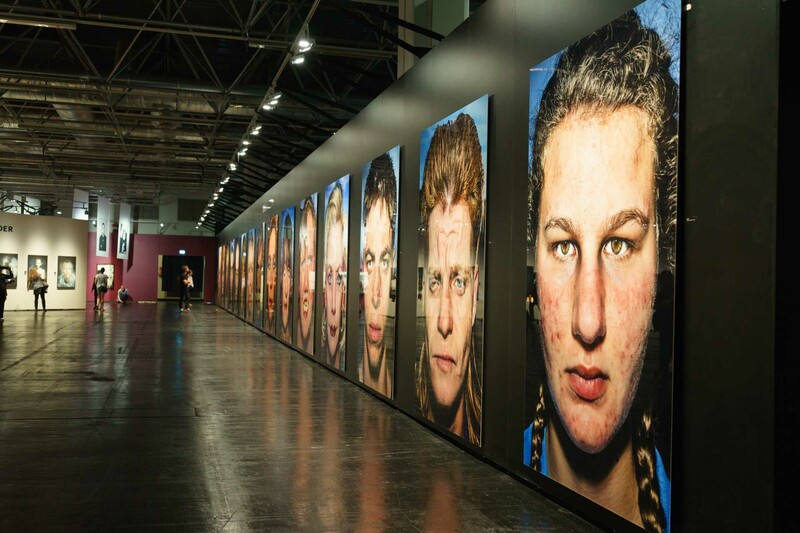 Over the course of the 6 days the event lasted, over 191,000 visitors and professionals attended, and according to the official press release, the percentage of young visitors was greater than ever before. 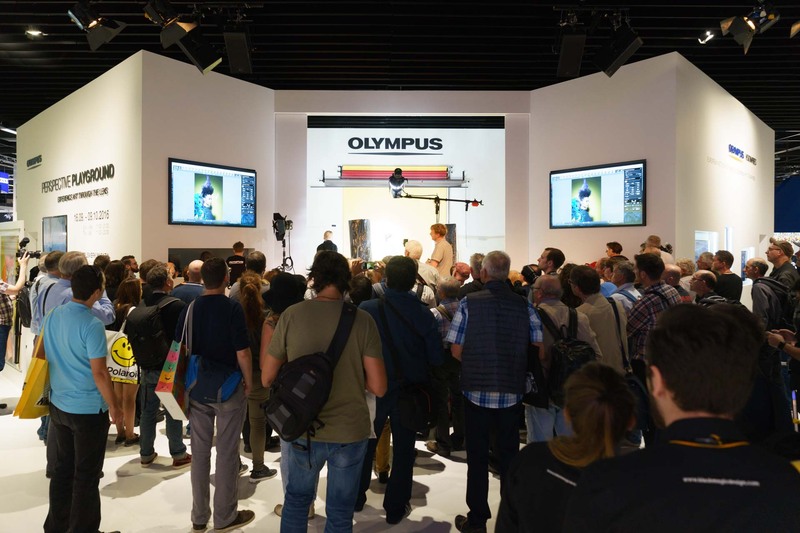 By all accounts, Photokina 2016 was a resounding success, and my own personal experience certainly backs up those claims. 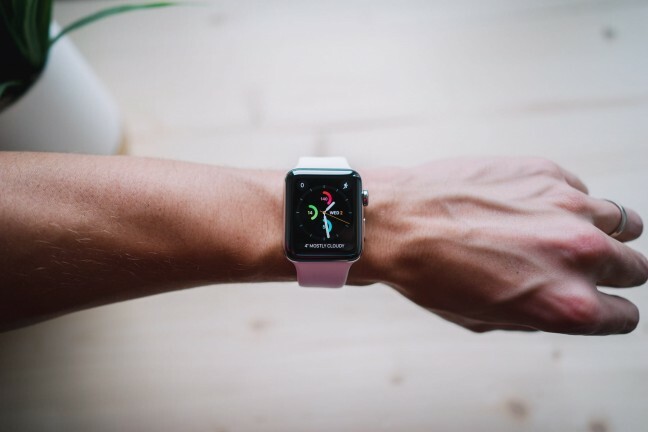 Some reports in recent days seemed to indicate that the main announcements in this edition were not as significant as they used to be — Samsung leaving is often cited as an ominous sign that the event might be losing relevance. Being my first ever Photokina, I can’t fully attest to that but, for what it’s worth, I definitely didn’t get that impression. 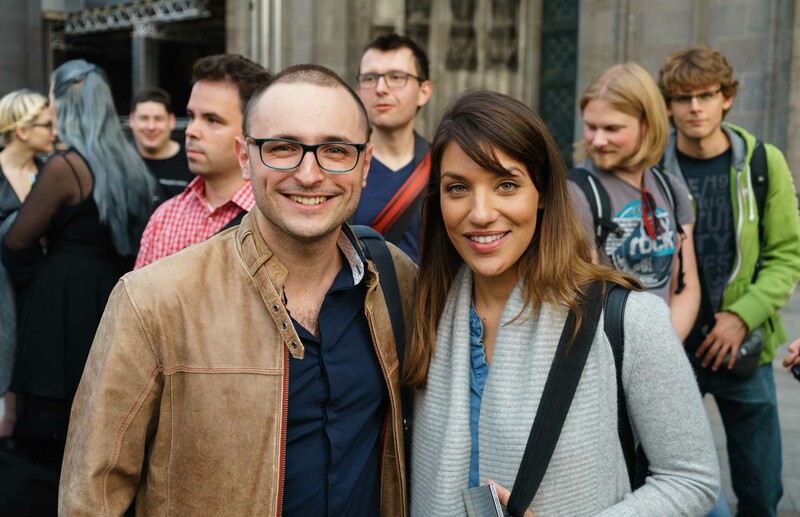 And it’s not just the announcements we saw at Photokina that should count, but also the pretty busy couple of months we had coming into it. Let’s go over what the big companies have announced recently in order to add some much-needed context. Fuji had by far the biggest splash of the entire Photokina. The company announced a brand-new Medium Format system, which includes the new GFX camera and six lenses, to be released over the next few months. 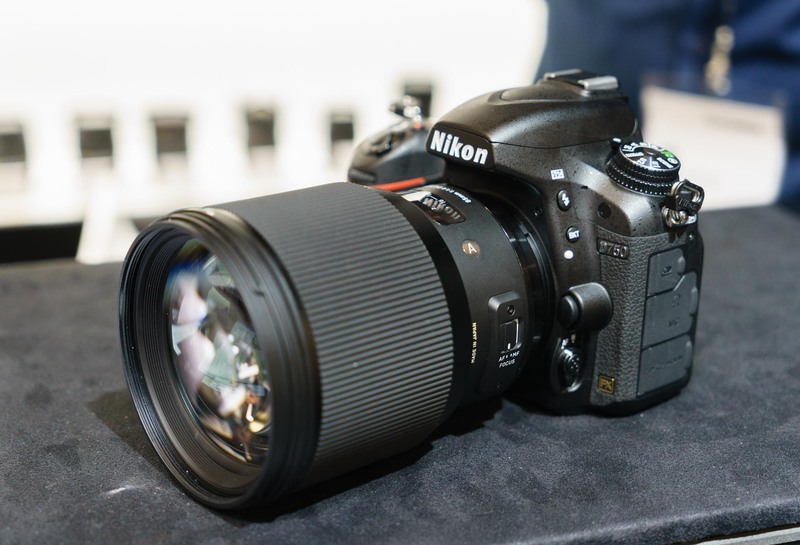 The camera packs a 51-megapixel sensor that is 70% larger than Full Frame. Now, in terms of Medium Format, this is actually on the small side, but it’s still impressive to see that Fuji managed to squeeze a sensor this big in a body that’s the same size as a Canon 5D-series camera. Not bad. It’s still early to know how well it’ll perform, but with a price that was hinted to be “well under $10K” for the body and a lens, it sure looks like it will make Medium Format a lot more accessible. 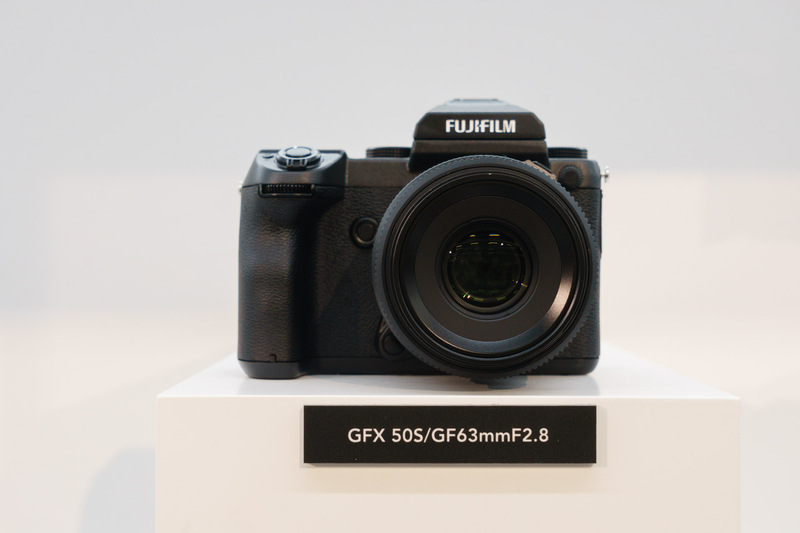 Fuji had the biggest splash of the entire Photokina: they announced a new Medium Format system, including the new GFX camera and six lenses. 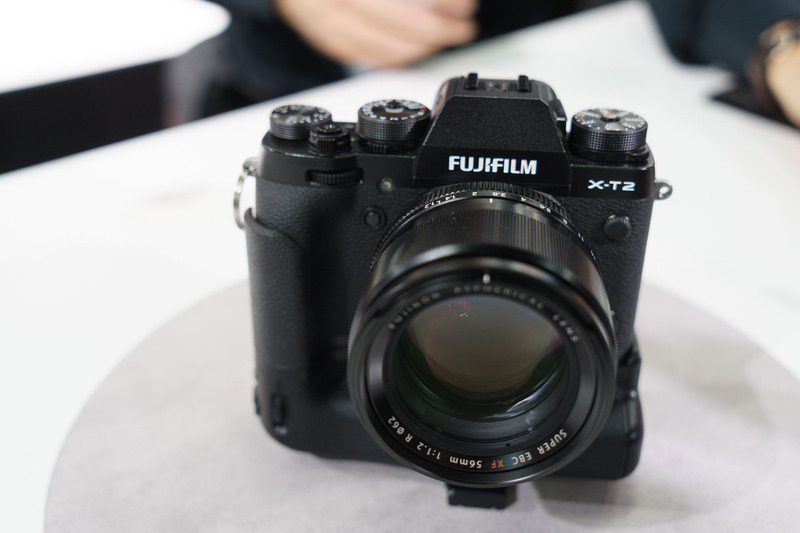 As for Fuji’s incredibly popular X-series system, the company recently unveiled their new flagship: the X-T2. This is an amazing camera that takes everything that was good about the X-T1 and makes it even better. It has a 24-megapixel sensor, 4K video recording, a more robust body, and an even better viewfinder. Best of all, it has a power grip that not only extends battery life, but can also provide additional functionality, like faster AF, a higher EVF refresh rate (100 fps, up from 60 fps) and a faster 11 fps burst rate (up from 8 fps). 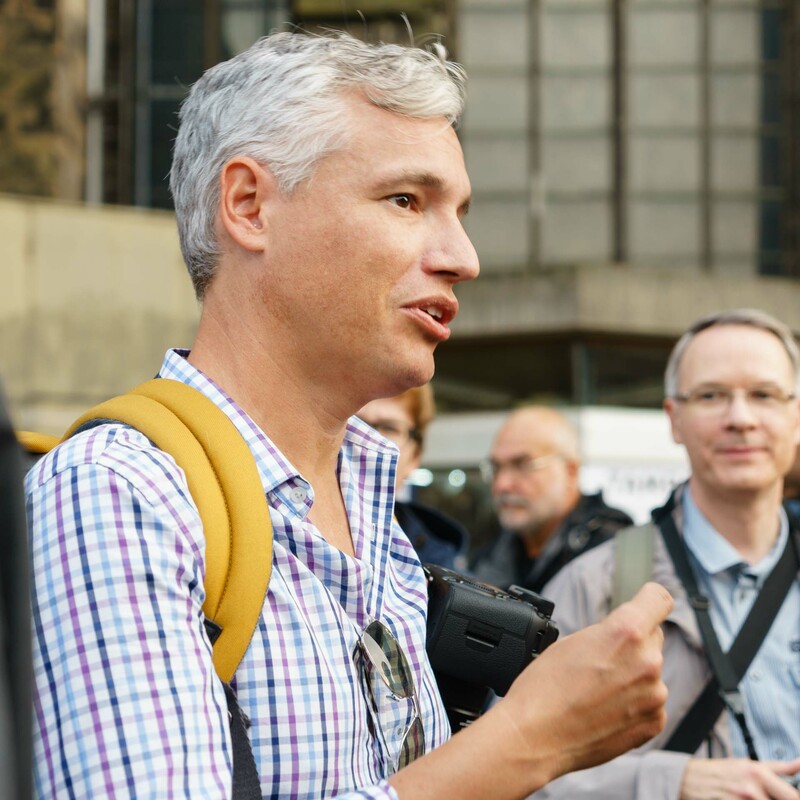 I had a chance to shoot with the X-T2 and a number of lenses this week and I have to say, it is a pretty darn good camera. Great work, Fuji! 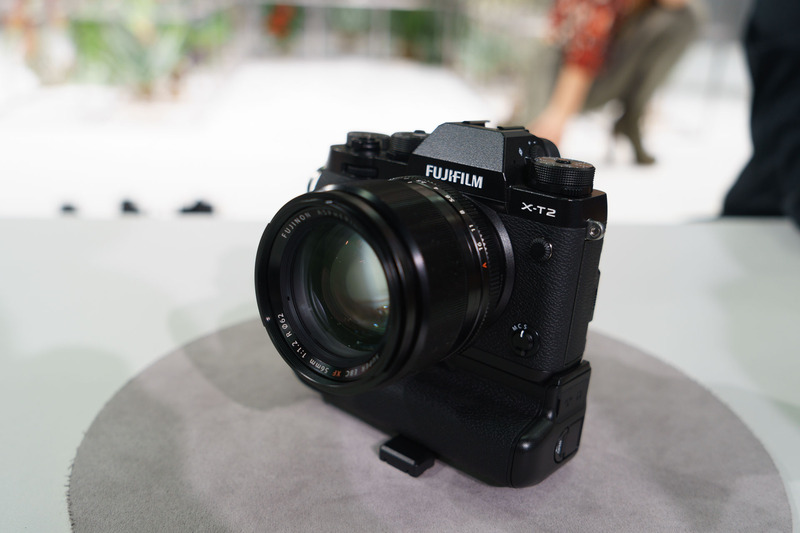 Besides the new GFX, Fuji also had plenty of units of the recently-unveiled X-T2 in the hands-on area, and it is a pretty darn good camera. 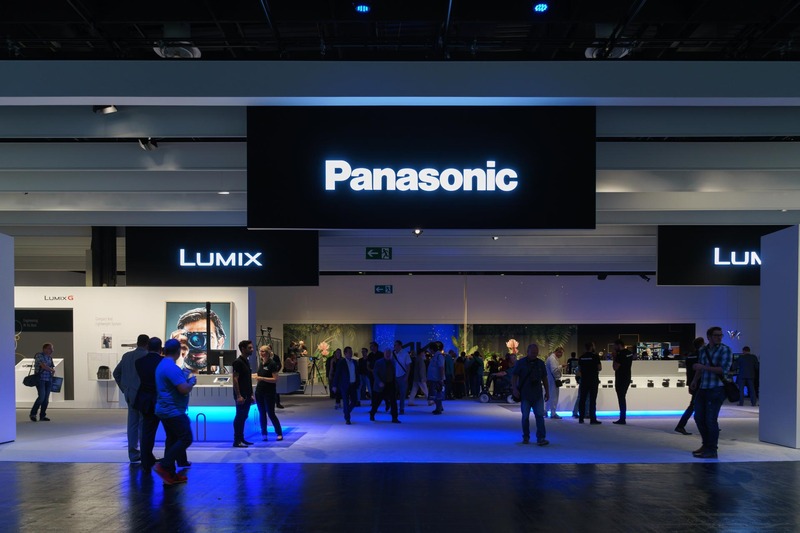 The Micro Four Thirds system also saw a lot of movement this week: both Olympus and Panasonic announced new flagships at Photokina, plus a number of lenses, and there’s even a new MFT player in town! 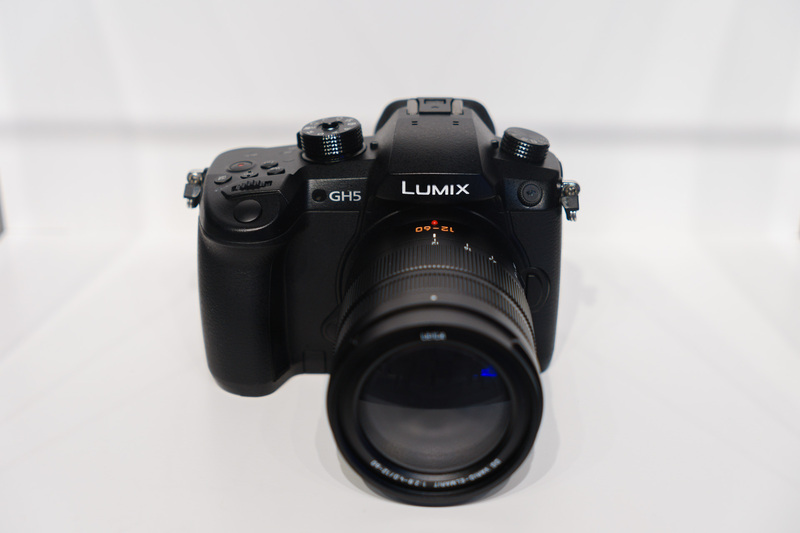 Panasonic unveiled their upcoming GH5 camera, which is poised to take the crown from the GH4 as the best MFT video camera around, and one of the best video cameras, period. Among other features, it brings internal 10-bit video recording in 4K, which is great news for videographers, and it has a slightly bigger body. 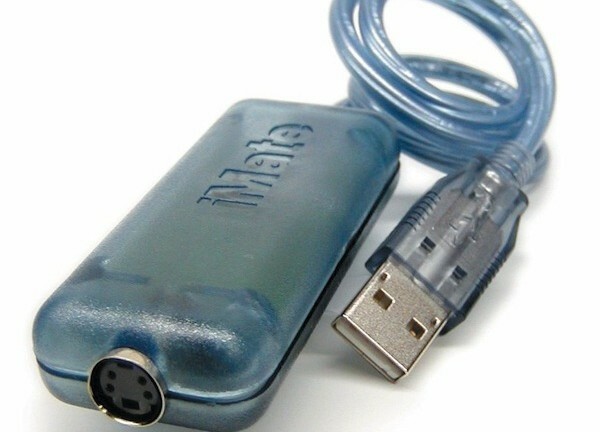 All in all, it should be a popular upgrade for video enthusiasts. 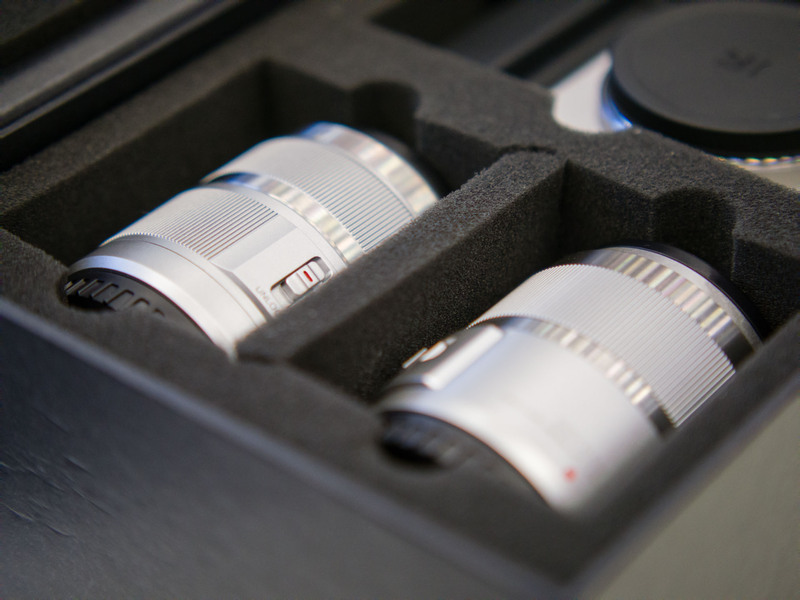 The company also announced the development of three new zoom lenses in collaboration with Leica: an 8-18mm f/2.8-4, a 12-60mm f/2.8-4, and a 50-200mm f/2.8-4. Panasonic unveiled their upcoming GH5 camera, which emphasizes video features like internal 10-bit 4K recording. 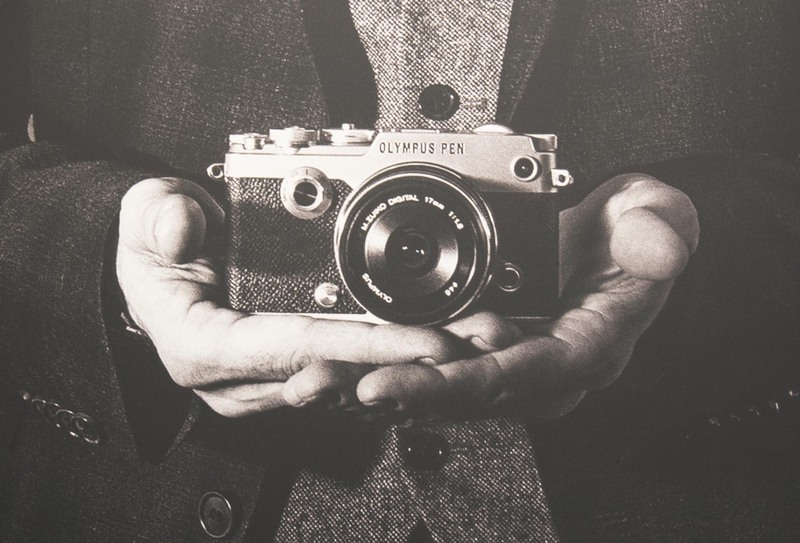 Olympus also announced their own flagship camera, and as usual, it’s more focused on the photography side of things. The new OM-D E-M1 Mark II is a speed demon: it has a 20-megapixel sensor with insane readout speeds that enable it to shoot at up to 18 fps with full AF capabilities, or 60 fps (!) with focus locked to the first frame. And yes, that’s in RAW. Overall, the E-M1 II also improves the viewfinder (120 fps and only 6-millisecond lag), the video recording capabilities (with 4K at 30 fps), the image stabilization system (which can now work together with lens-based IS to provide up to 6.5 stops of compensation), and the AF system (with 121 phase-detection points, all cross-type). The company also unveiled three new lenses: a superb 25mm f/1.2 PRO, an outstanding all-around 12-100mm f/4 PRO, and a 30mm f/3.5 Macro. 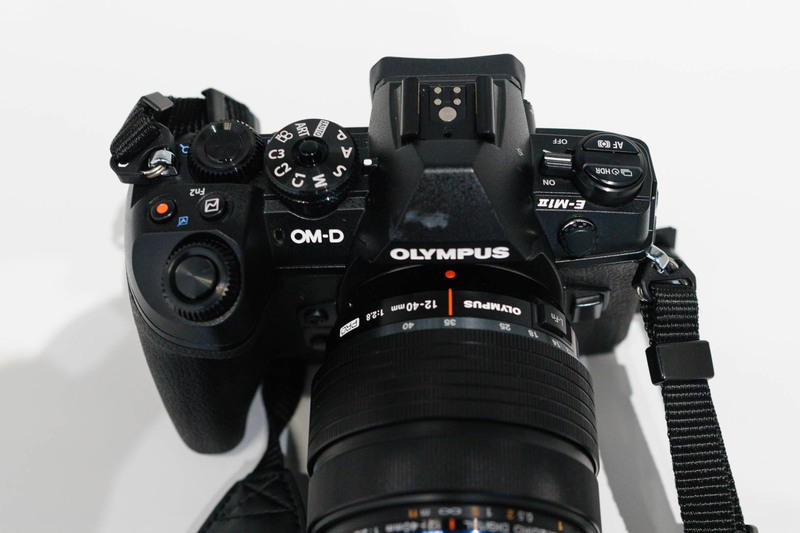 The new Olympus OM-D E-M1 Mark II camera is a speed demon that can shoot up to 18 fps with full AF capabilities, or up to an insane 60 fps with focus locked to the first frame. 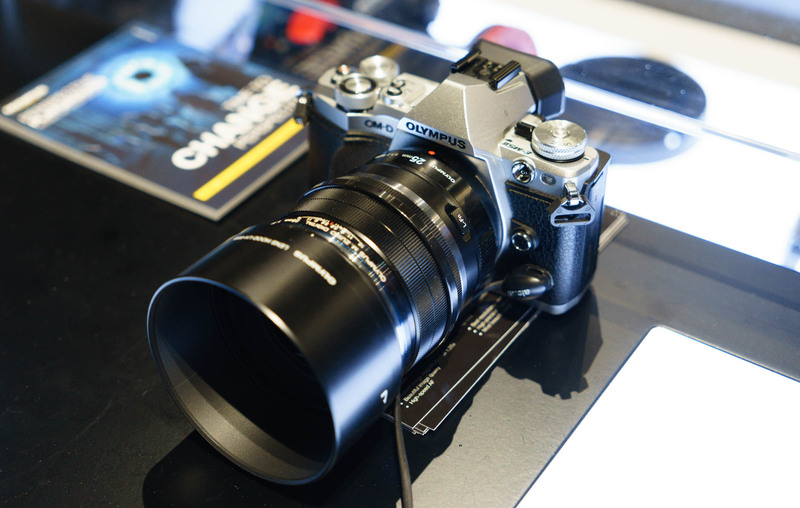 Olympus also announced several new lenses, including this 12-100mm f/4 PRO zoom that offers a huge magnification with excellent optical quality. 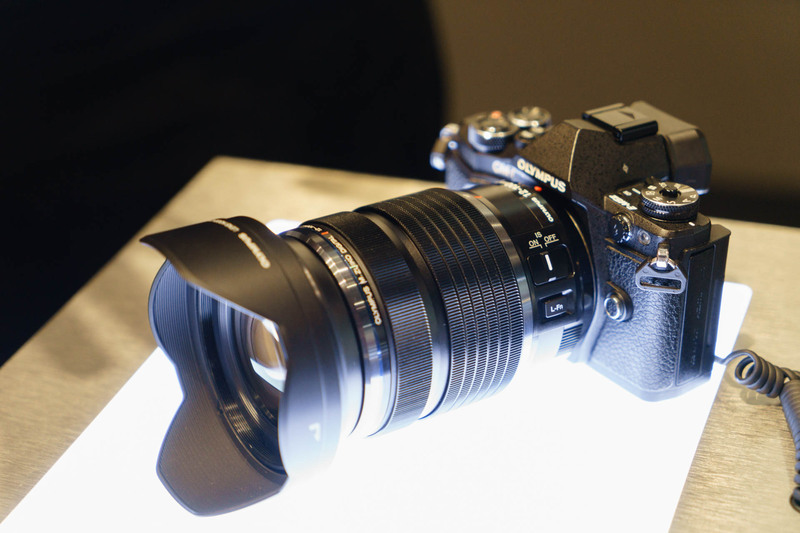 The company also unveiled a new 25mm f/1.2 PRO prime, which is their fastest Micro Four Thirds lens to date. Finally, Chinese company Yi Technology has entered the MFT arena by releasing the Yi M1. Sure, it may look like a Leica T copycat at first sight, but upon further inspection this is actually a surprisingly competent camera. Starting at just $499 with a lens included, the Yi M1 packs a whole lot of technology in a very affordable package. 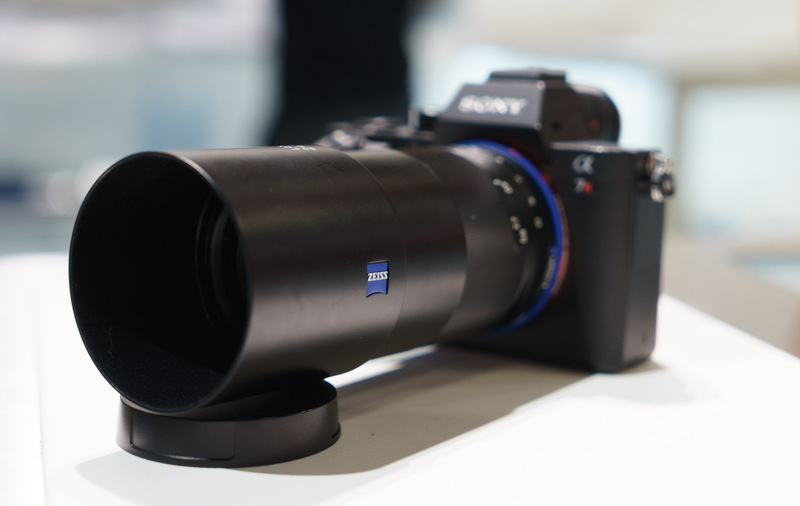 With a 20-megapixel Sony sensor, 4K video recording, and a bunch of interesting connectivity features, this camera may just have what it takes to succeed in an increasingly competitive space. Besides, the company also unveiled two lenses of their own: a standard kit zoom and a very good portrait prime that doubles as a macro lens. Think of it what you will, the fact remains that the entry level to the MFT system just got a lot more interesting. 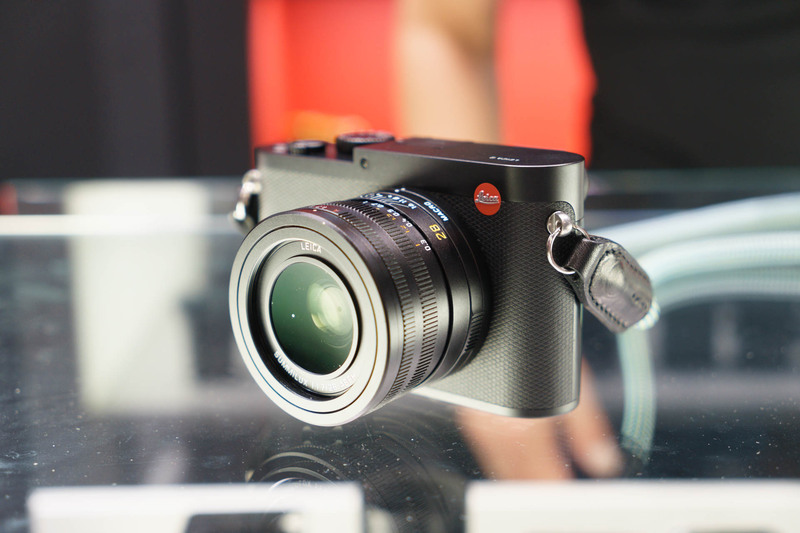 Chinese company Yi Technology became a new Micro Four Thirds player at Photokina by releasing the Yi M1 camera and two new lenses. Packing a 20-megapixel Sony sensor, this new entry into the system punches well above its weight. 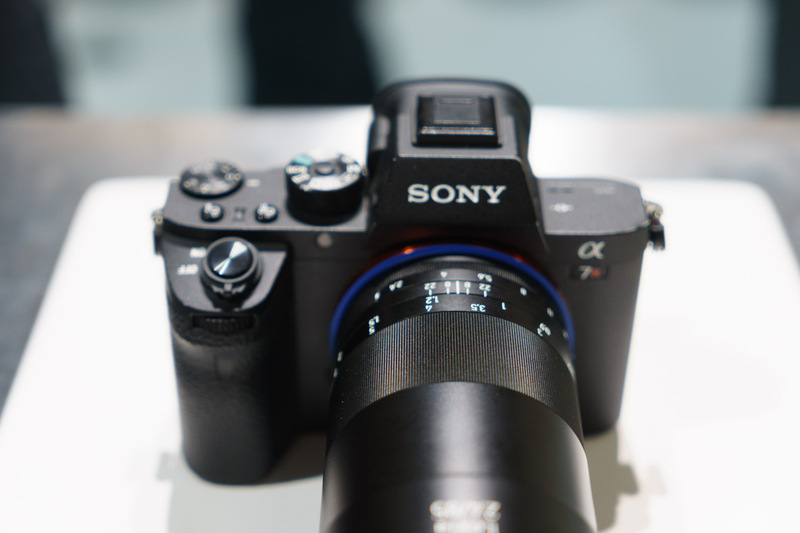 As a Sony E-mount shooter myself, I was hoping to see some interesting new announcements for the system. Alas, it was not to be. 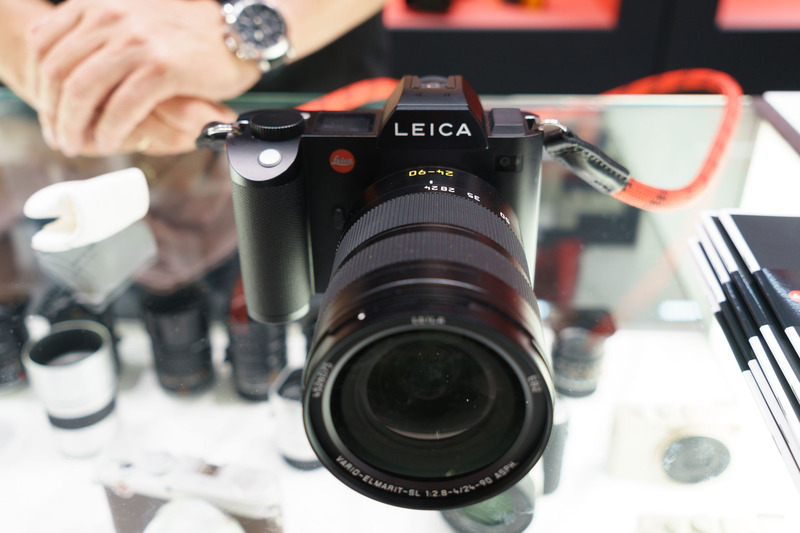 The company instead focused on its A-mount system, a DSLR-Mirrorless hybrid that is supposed to give users the best of both worlds. The new a99 Mark II is a very interesting camera. 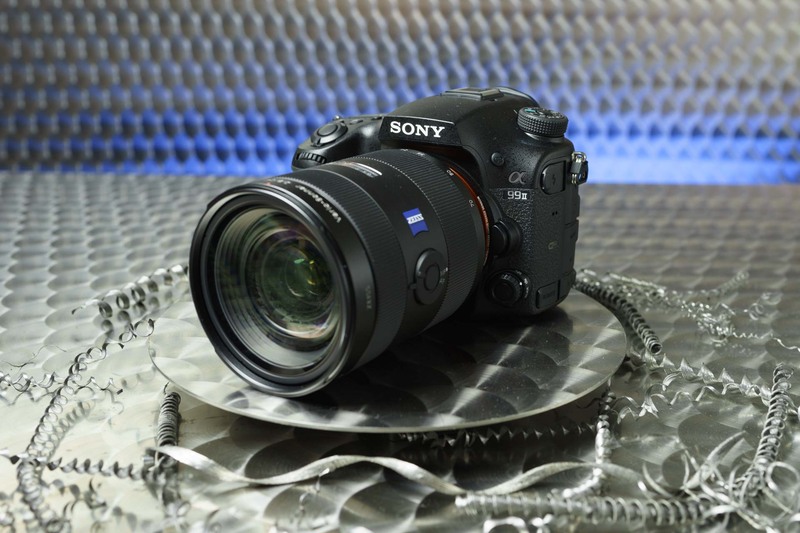 It packs all of the technology in the year-old a7R II, but it augments it with an additional front-LSI image processor and the A-mount’s trademark dedicated phase-detect AF system. The result is an unprecedented 12 fps burst rate at the full 42-megapixel resolution and with full AF capabilities. It’s impressive. Add to that the same 8 fps Live View mode that debuted in the a6300 for better subject tracking, Eye AF and more, and you’ve got yourself a pretty nice camera indeed. If you’re into mirrors, that is. 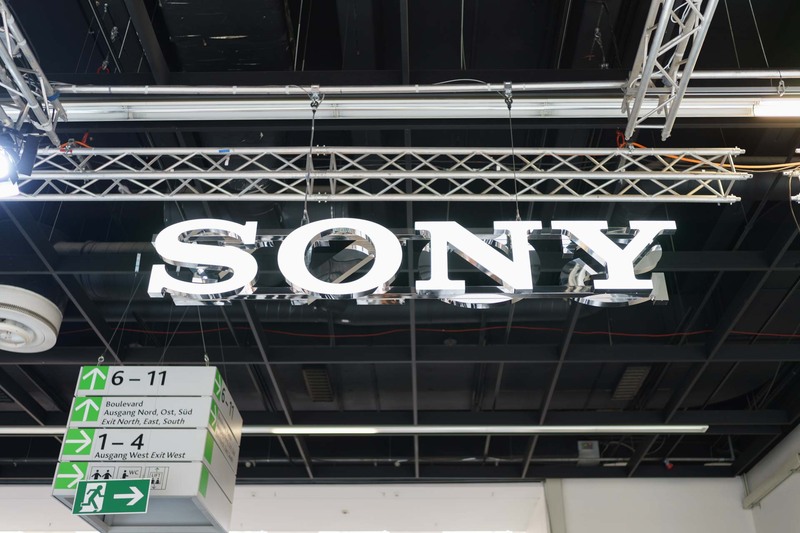 Sony unveiled the new a99 Mark II at Photokina, which becomes the A-mount system’s flagship body. As great as the a99 II feels in use, though — I got my hands on it during a private Sony event — I can’t help but feel this was sort of a stopgap solution. This camera doesn’t build on the a7R II’s tech in any meaningful way, and instead it just brings the A-mount up to co-flagship status. 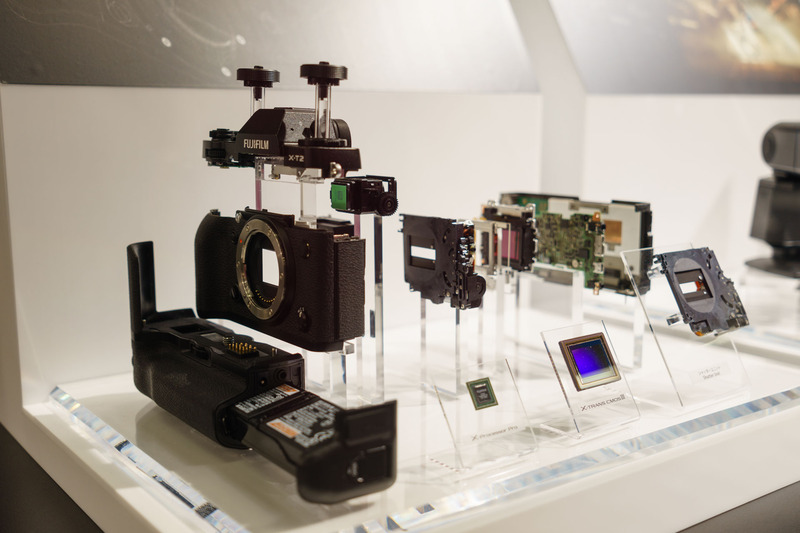 Whenever they are announced, I fully expect the next generation of E-mount cameras to once again leap ahead. Hopefully we’ll get to see them before the end of the year. 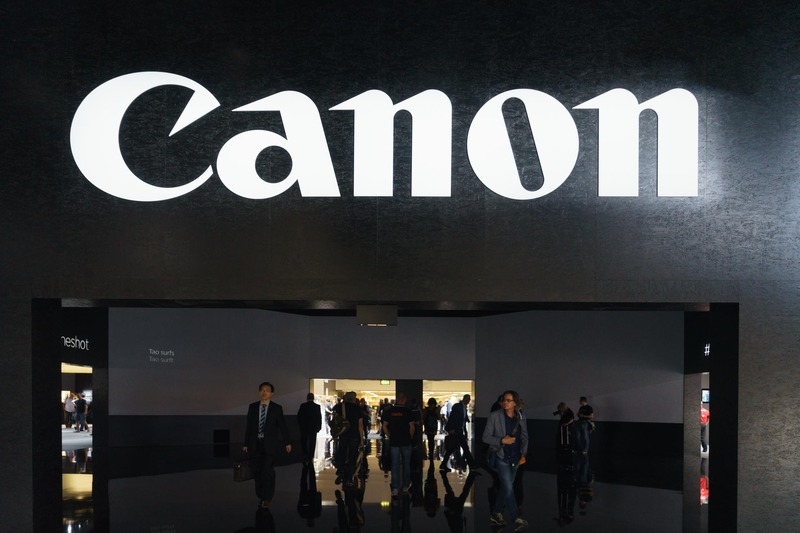 In the EF system, Canon recently announced their long-awaited 5D Mark IV, as well as new versions of two popular L lenses: the 24-105mm f/4 L II and the 16-35mm f/2.8 L III. The lenses should provide nice improvements on what were already pretty solid offerings, and the camera is, for the most part, an evolutionary update. The 5D Mark IV adds a better sensor with higher resolution and improved dynamic range, and for the first time ever in a Full Frame Canon camera, a very responsive and well-designed touch interface. 4K video recording, Dual-Pixel RAW, WiFi and GPS round out what should be a sensible upgrade for most Canon shooters. To some, these may look like minor upgrades, but much like the iPhone, the 5D series is a mature line and by now everyone should know not to expect any revolutionary leaps. Not that that’s ever going to stop people from complaining anyway. Canon recently announced their long-awaited 5D Mark IV, together with two new L lenses. The new camera is mostly an evolutionary update, but that’s all it needs to be. 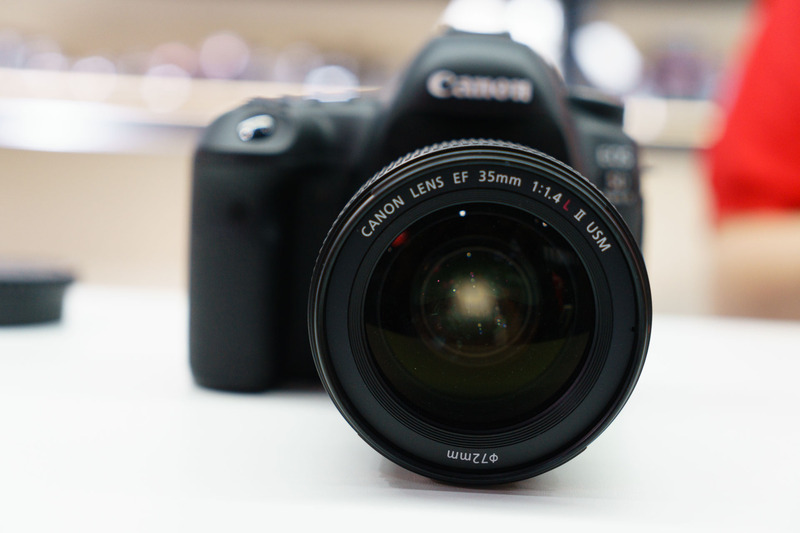 The 5D-series is already a mature product line, and this latest iteration is the best one yet. The company also recently announced the EOS M5, a small mirrorless camera that packs most of Canon’s latest technology, including a 24-megapixel sensor, a touchscreen, WiFi, GPS, and Dual-Pixel AF. This last feature in particular enables the camera to work seamlessly with the entire line of Canon EF-mount glass, both the APS-C and Full Frame variants. Canon also has a native selection of lenses for the M system, but it’s fair to say most of the people who would consider buying one will be existing Canon shooters, and as such, they probably already own some Canon EF lenses. 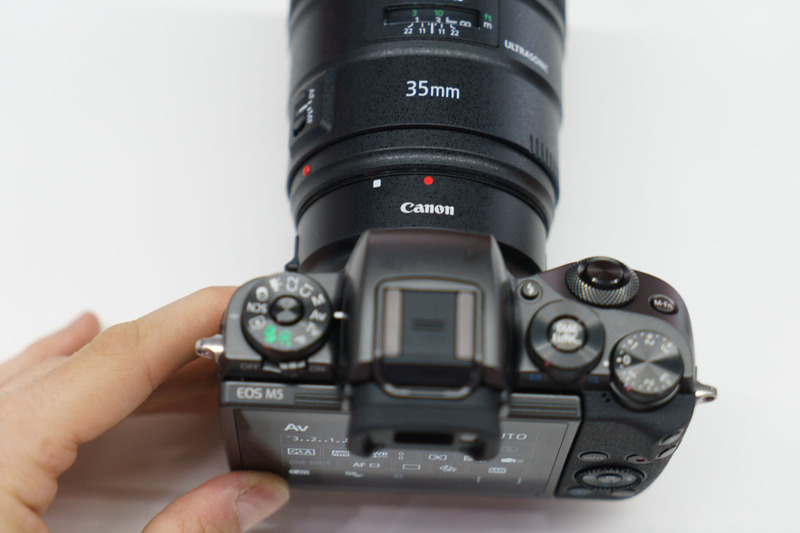 In fact, Canon is including the adapter in the box for the first few months the M5 will be on sale. Smart. 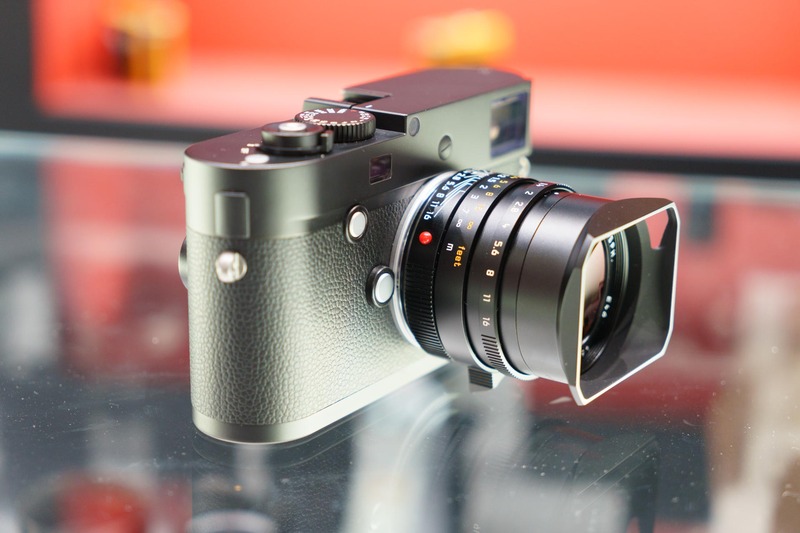 On the minus side, the M5 is a bit too small to be used comfortably with adapted lenses, especially Full Frame ones. Oh, the irony! 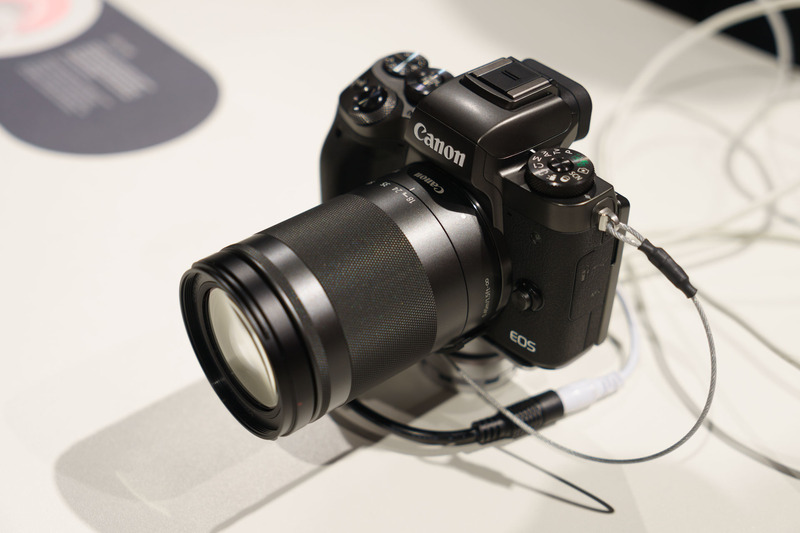 Canon also recently unveiled the EOS M5, a small mirrorless camera that packs most of Canon’s latest technology. If I had to pick one company to be particularly disappointed in, it would definitely be Nikon. The company didn’t unveil any new Full Frame cameras, and just released the D3400, a minor update to their extremely popular D3300 APS-C camera. The D3400 doesn’t improve the resolution, the burst rate, or the video recording capabilities of the D3300 (still no 4K). In fact, capture-wise, it doesn’t improve much of anything, except by adding some extended high-ISO range, which you shouldn’t be using anyway. The main new feature found in the camera is SnapBridge, a new Bluetooth-powered connectivity option to share images with your smartphone that for the most part feels a bit gimmicky, to be honest. 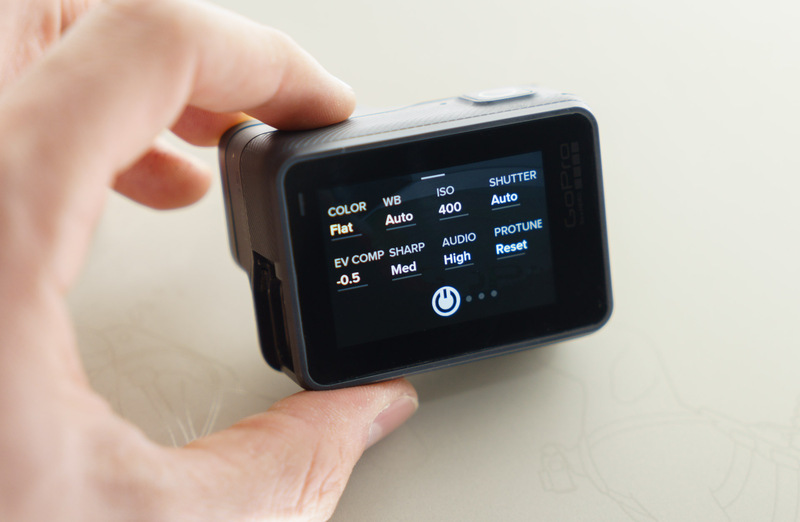 Besides that, Nikon unveiled three different action cameras under their KeyMission brand. The KeyMission 80, KeyMission 170, and KeyMission 360 are all interesting, but they don’t feel particularly revolutionary. GoPro owners certainly won’t be tempted to switch, for the most part. The only one out of the three that seems more compelling is the 360, which can record videos with a 360° field of view. That’s pretty cool. Other than that, though, I wasn’t terribly excited about any of them, but maybe that’s just me. The action camera company unveiled their new HERO5 generation of action cameras: the HERO5 Black and the HERO5 Session, both of which are significant upgrades from the previous models. They also announced the Karma, a cool new drone that packs plenty of advanced features in a sleek package. The Karma makes it easier than ever to fly a drone, and is compatible with both HERO4 and HERO5 camera generations. 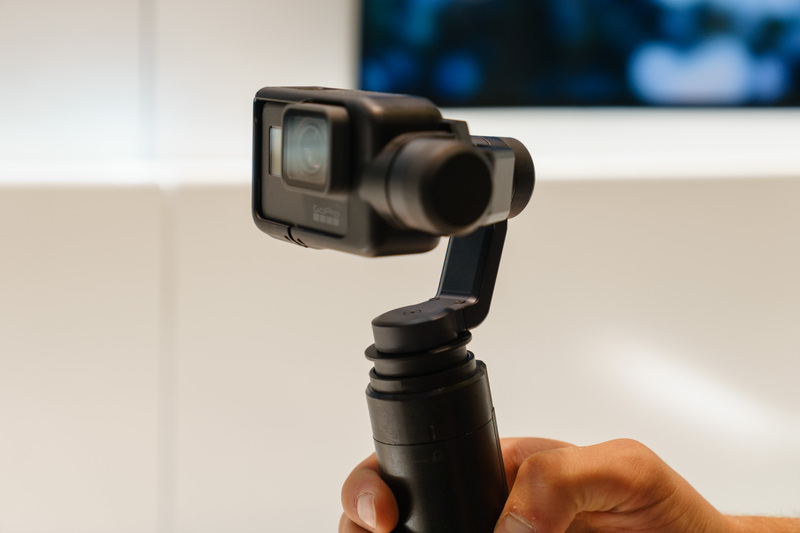 It comes with a removable 3-axis gimbal that can be used hand-held with the included grip, and is overall a very competitive option for those looking to take their video recording to the next level. 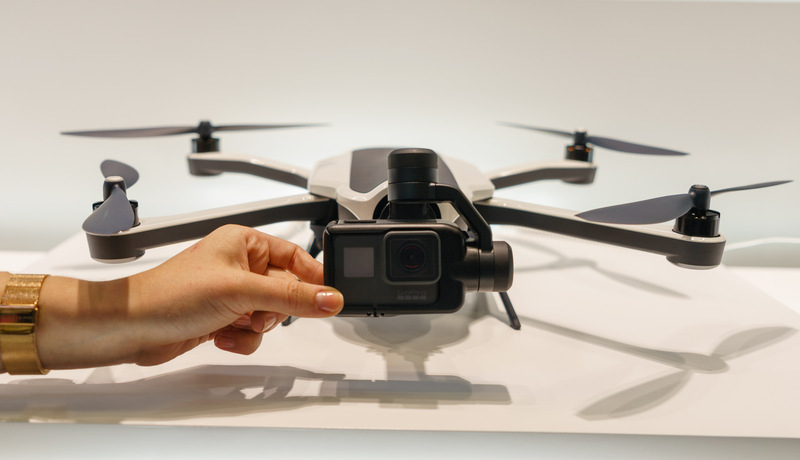 GoPro’s new Karma drone is very easy to fly and is compatible with both HERO4 and HERO5 camera generations. 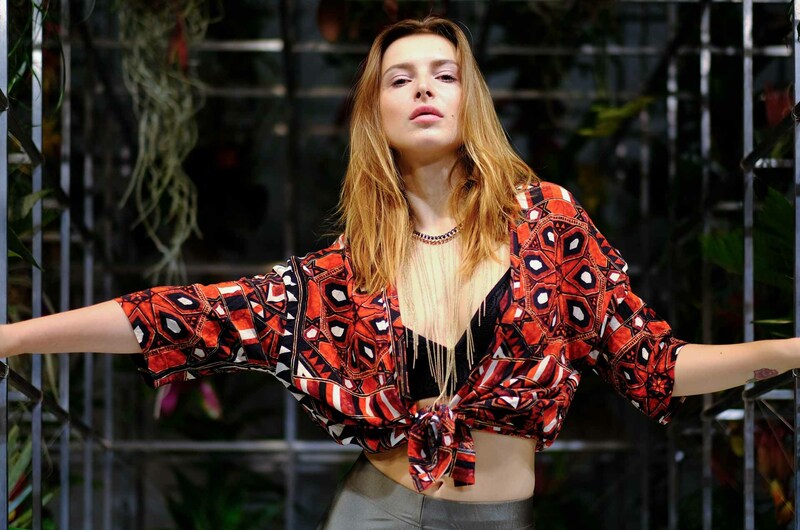 The Karma also comes with a removable 3-axis gimbal that can be used hand-held with the included grip. 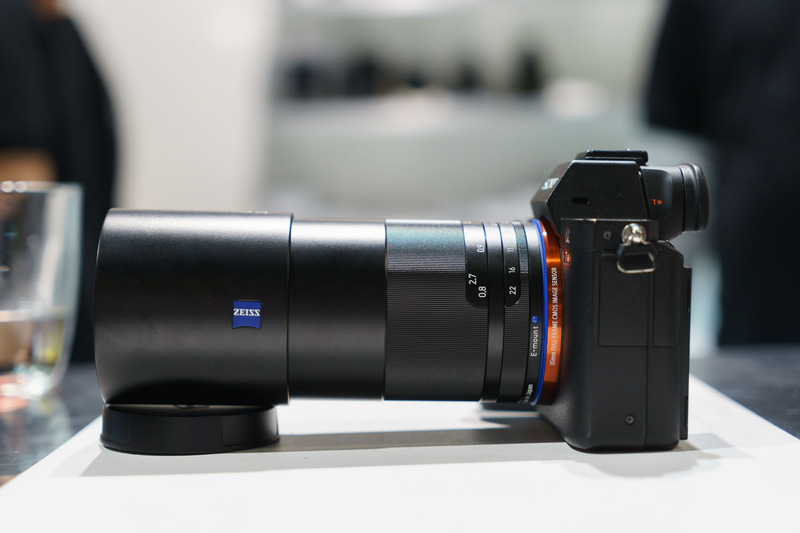 Zeiss released a new addition to the Loxia line of manual-focus Sony E-mount lenses: the 85mm f/2.4. It’s just as gorgeous as the rest of the Loxia lenses, and Zeiss somehow managed to maintain the same physical diameter at this longer focal length. 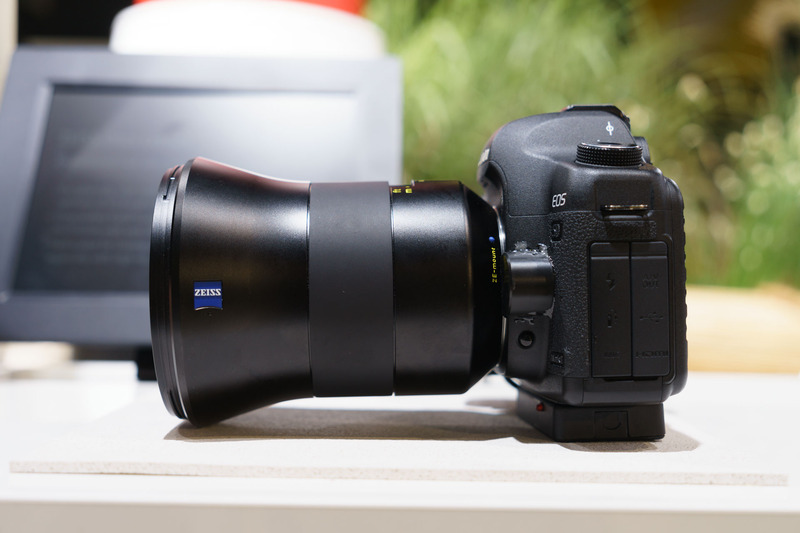 Zeiss unveiled a new 85mm f/2.4 Loxia at Photokina, the latest addition to their Loxia line of manual-focus Sony E-mount lenses. Speaking of 85mm lenses, Sigma finally unveiled their long-awaited 85mm f/1.4 Art prime, and it is a beast. I only had a chance to briefly test the Nikon-mount version, but I was pleasantly surprised by how fast and accurate the AF was. If the image quality is up to the same standards as the rest of the Art series, Sigma will have yet another winner on their hands. 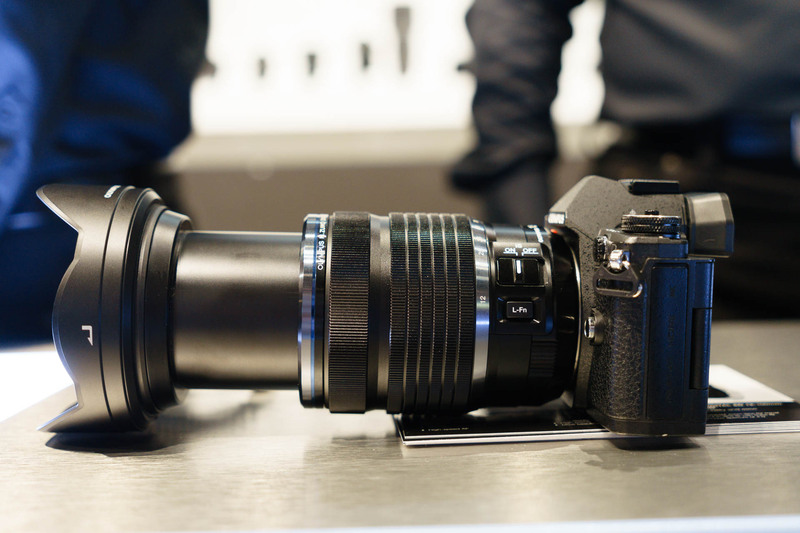 Sigma also unveiled their long-awaited 85mm f/1.4 Art prime lens, and it is a beast. Samyang/Rokinon also released two new lenses as part of their new Premium line of manual-focus glass: an 85mm f/1.2 prime, and a 14mm f/2.4 prime. 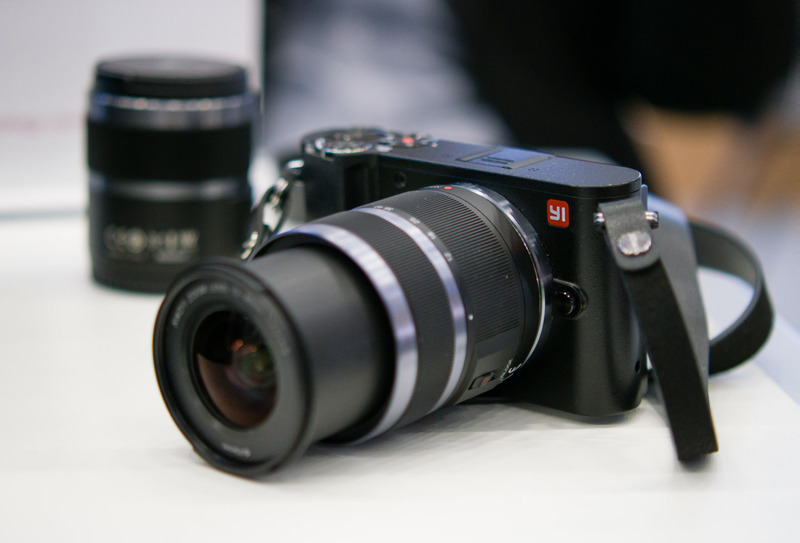 Both promise outstanding resolving power (geared towards 50MP stills and 8K video production) and build quality, and I’m convinced they’ll deliver. We live in interesting times, indeed. 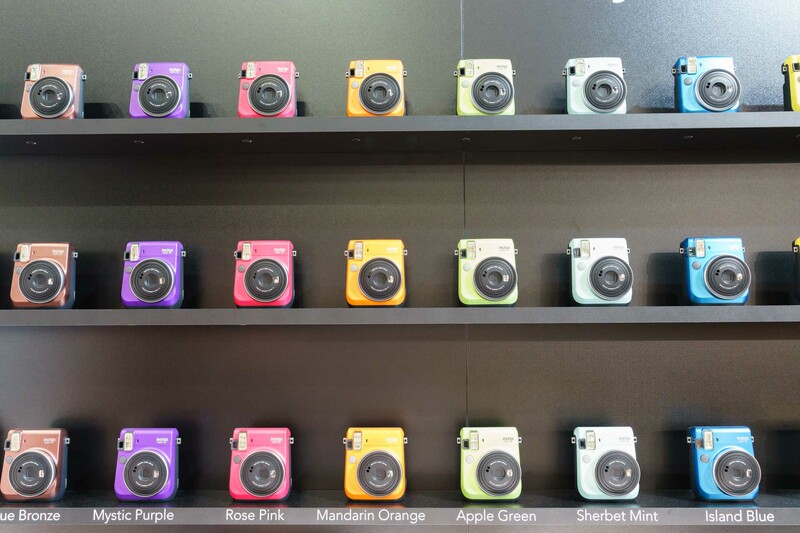 Photokina is not only the world’s largest photography trade fair, it is also the world’s biggest photography accessory showroom. 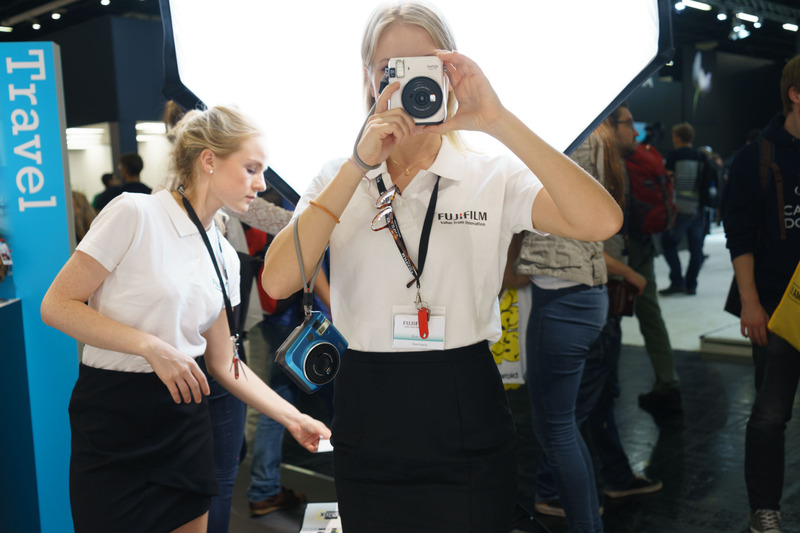 Two of the main halls at Koelnmesse were entirely dedicated to showcasing thousands of different products from hundreds of different companies around the world, ranging from camera bags, tripods, filters, lighting equipment… you name it. The new black leather collection of ONA bags. Enough said. 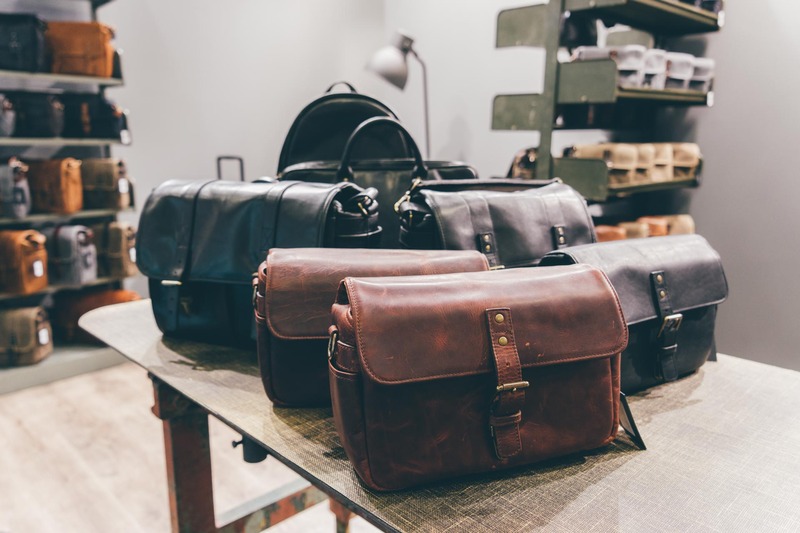 ONA recently released a new black leather collection of bags, and they’re gorgeous. 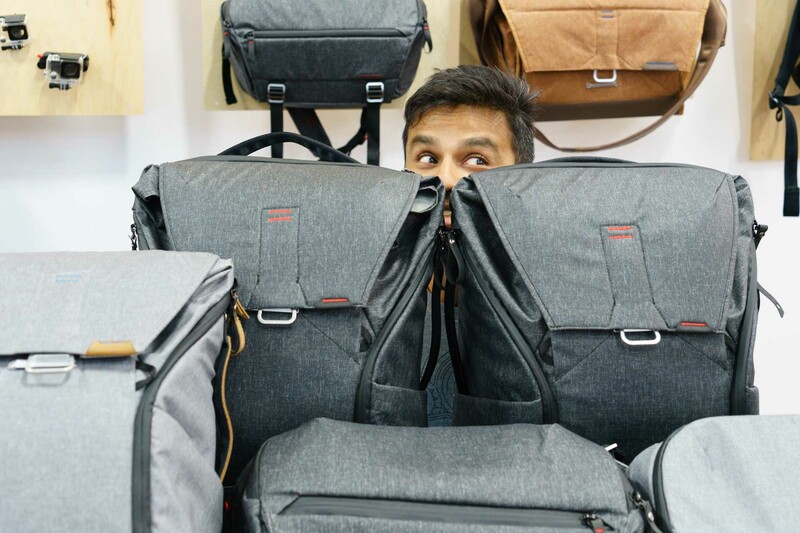 The upcoming Everyday Backpack, Tote, and Sling, from Peak Design. We love Peak Design’s stuff, and these bags appear to be their finest yet. 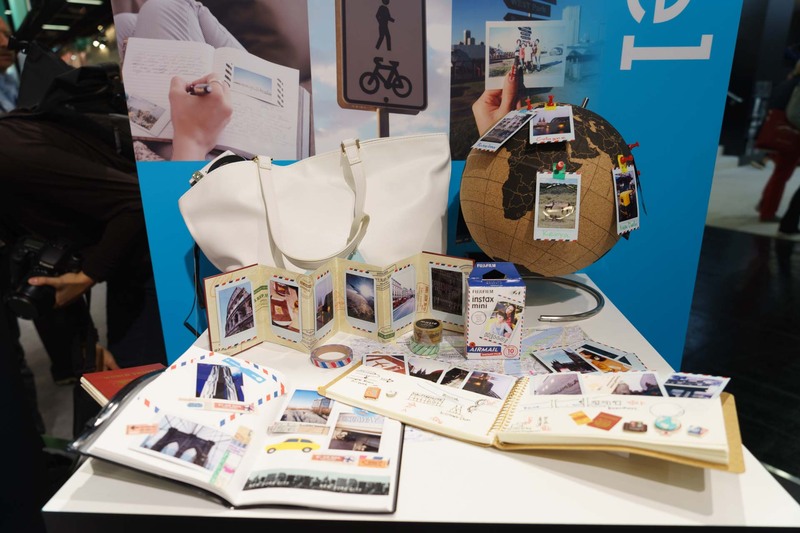 Peak Design had samples of their upcoming Everyday Backpack, Tote, and Sling camera bags available at their stand. 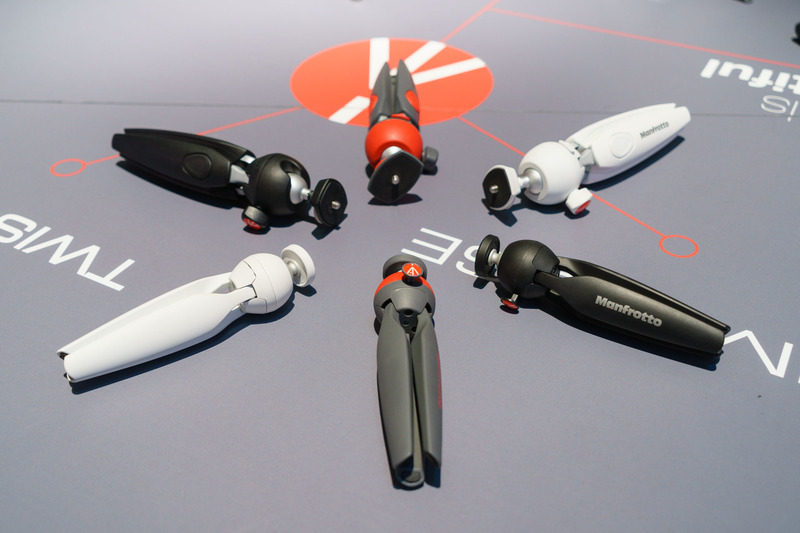 The Manfrotto PIXI and PIXI Evo mini-tripod collections. Pretty awesome tabletop tripods that won’t break the bank. The Manfrotto PIXI and PIXI Evo mini-tripod collections are some of Tools & Toys’ favorite photo accessories. The Zeiss Exolens kit for the iPhone. Zeiss developed these for the iPhone 6 and 6S generations, and they’re still selling them. The Manfrotto XUME lens adapter + filter holder system. Manfrotto has partnered with american company XUME to offer a range of magnetically attached filter adapters that make it extremely simple to switch filters in the field, even when wearing gloves. This is brilliant design. Of course, there were about a kazillion more accessories on the show floor, but it’s literally impossible to go over all of them in only six days, much less to cover them in this essay. 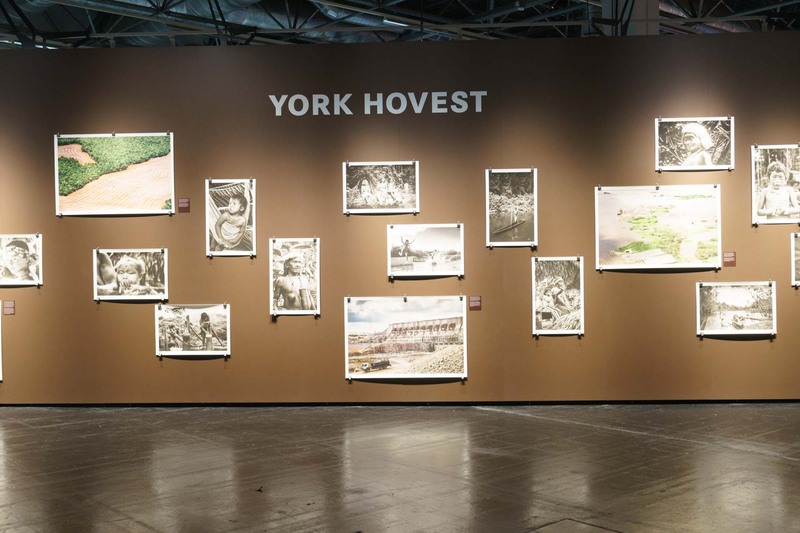 During a trade fair, it’s easy to lose sight of the fact that photography is not exclusively a technical medium… all that technology and innovation needs to ultimately be in service of creating compelling, hopefully even timeless images. 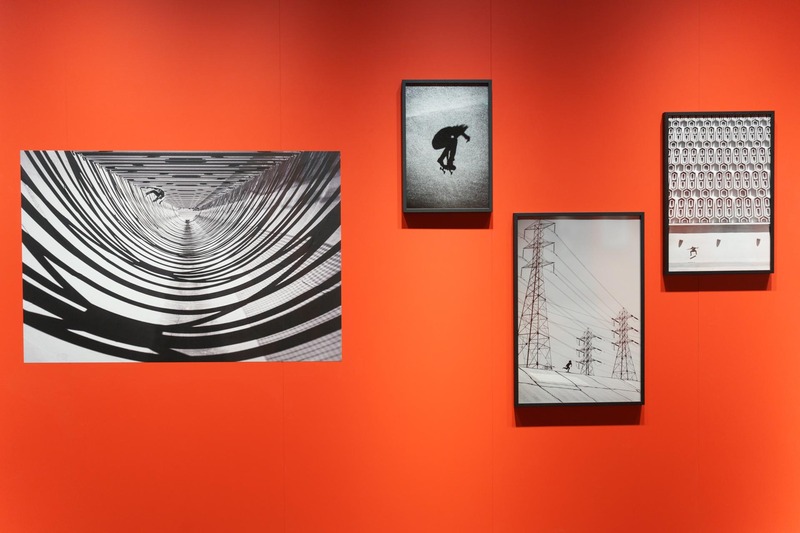 There were many opportunities to remind yourself of the importance of the creative side of photography at Photokina, including photo exhibits, workshops, lectures, and many other events. However, if you ask me, there was one that clearly rose above them all in terms of aesthetic beauty and creative appeal. 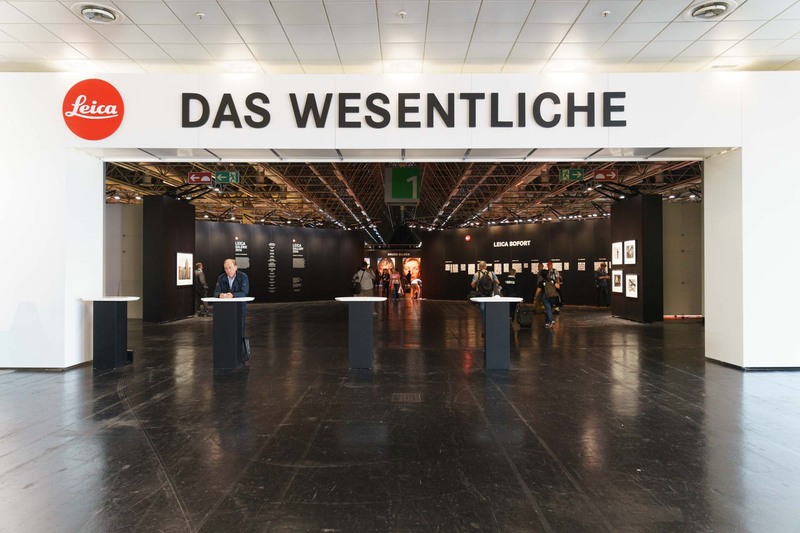 Leica arranged a wonderful photo exhibit called Masters of Photography in one of the biggest halls. 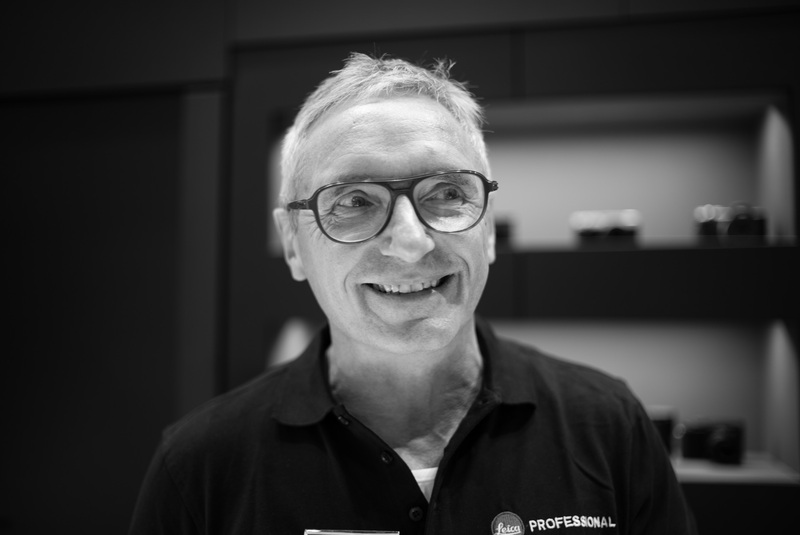 No company out there knows more about timeless images than Leica, and for this edition of Photokina they had something really special in mind. 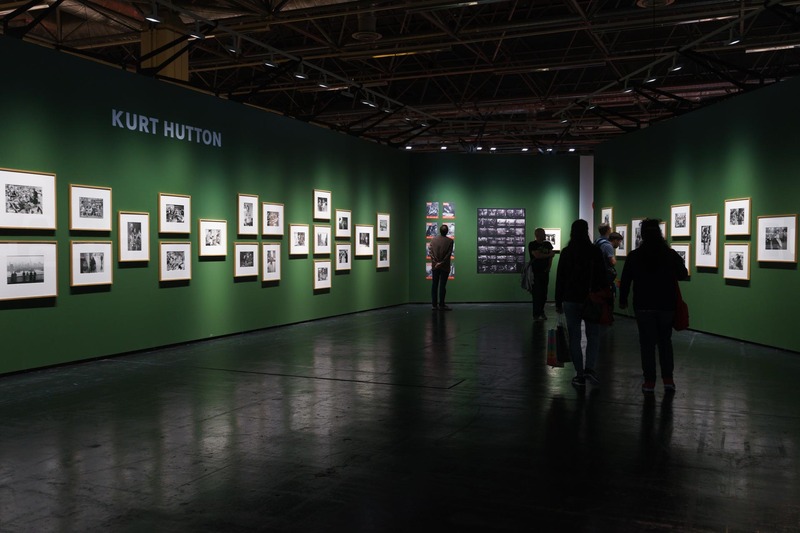 They dedicated one of the biggest halls to a wonderful photo exhibit called Masters of Photography, featuring 15 distinct spaces with over 400 pictures from the likes of Alex Webb, Bruce Gilden, Ellen von Unwerth, and many others. It was breathtaking, and definitely one of the highlights of the week for me. The Masters of Photography exhibit features work from the likes of Alex Webb, Bruce Gilden, Ellen von Unwerth, and many others. 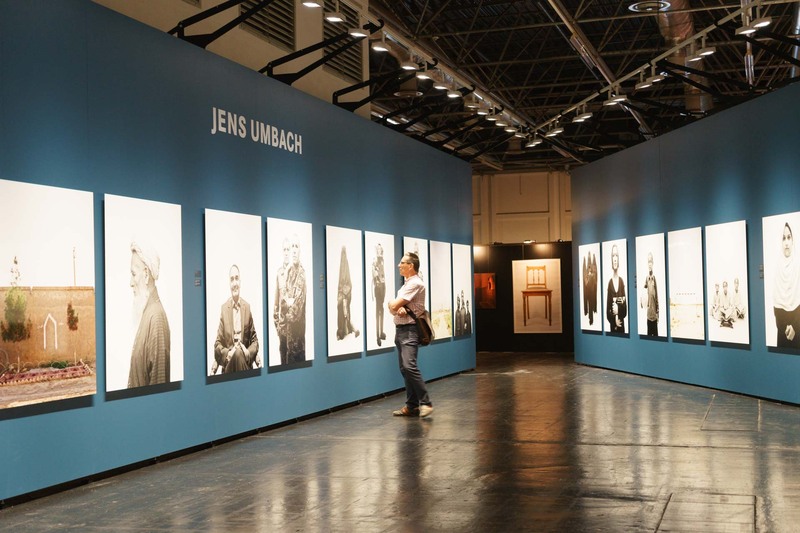 It takes courage to arrange such an iconic exhibit in the middle of the world’s biggest photography trade fair, so kudos to Leica for pulling it off in such impeccable style. 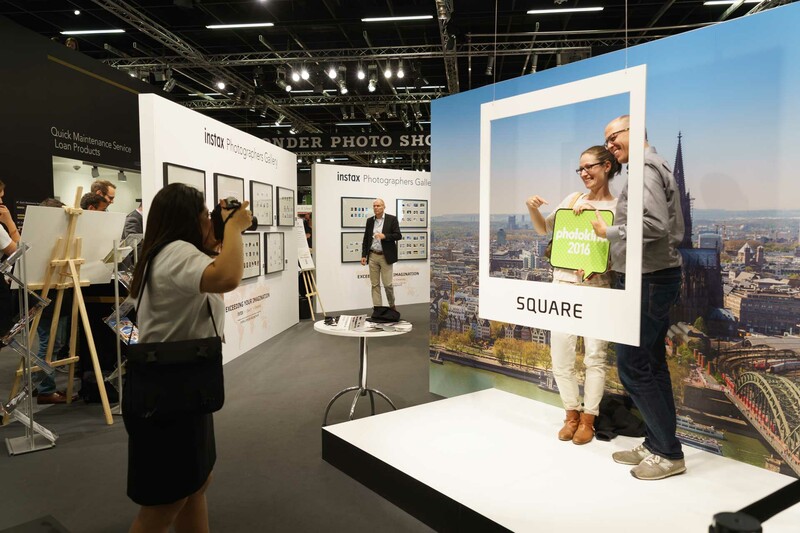 World-wide events like Photokina present a very good opportunity for people to meet. In that sense, it is a bit like Apple’s WWDC: you go there mostly for the tech stuff, but you enjoy it mostly for the people. 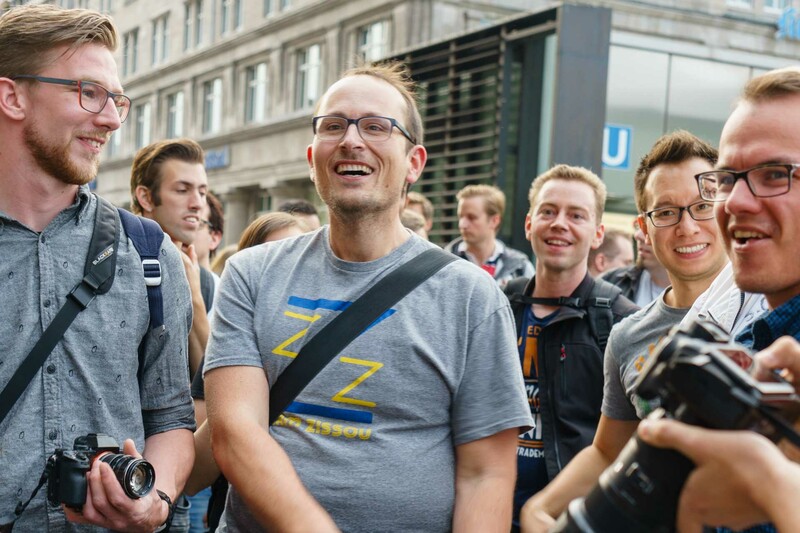 Over the last few days coming into Photokina, I was thrilled to see that three of my favorite photographers in our little Internet community decided to arrange a meetup: Tony and Chelsea Northrup, and Matt Granger. 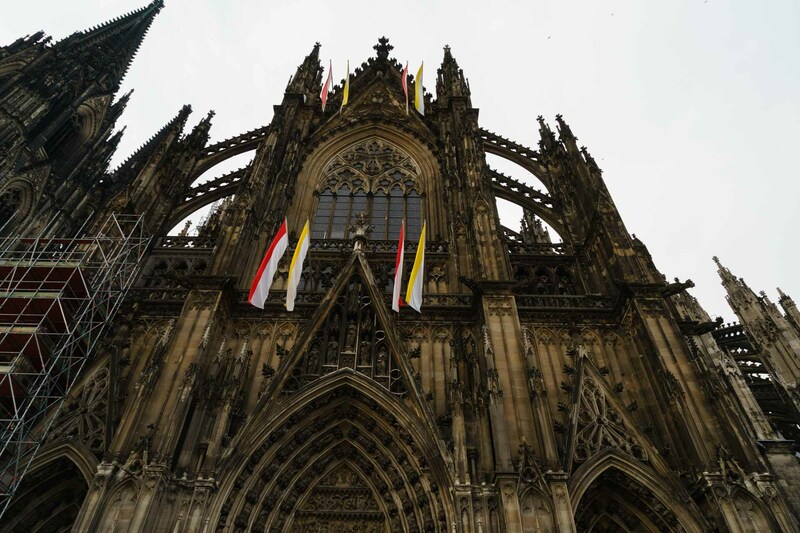 They arranged for everyone to meet at the steps of the Cologne Cathedral, and I think they were a little surprised when over 100 people showed up. Naturally, we took a giant group selfie and then headed for a stroll along the banks of the Rhine, before spending a few hours having very interesting conversations and a few beers. It was definitely an experience I’ll look back on with fond memories. Even better, towards the end of the evening Chris Niccolls and Jordan Drake from The Camera Store TV also joined the group, and great fun was had by everyone. Among other cool people, I had a chance to meet Tony and Chelsea Northrup, and Matt Granger. I also had a chance to meet Mathieu Gasquet and Heather Broster from MirrorLessons, who were absolutely charming and a pleasure to talk to. And I would have loved to meet Kai and Lok from DigitalRev TV, but sadly, I didn’t manage to. Maybe next time. 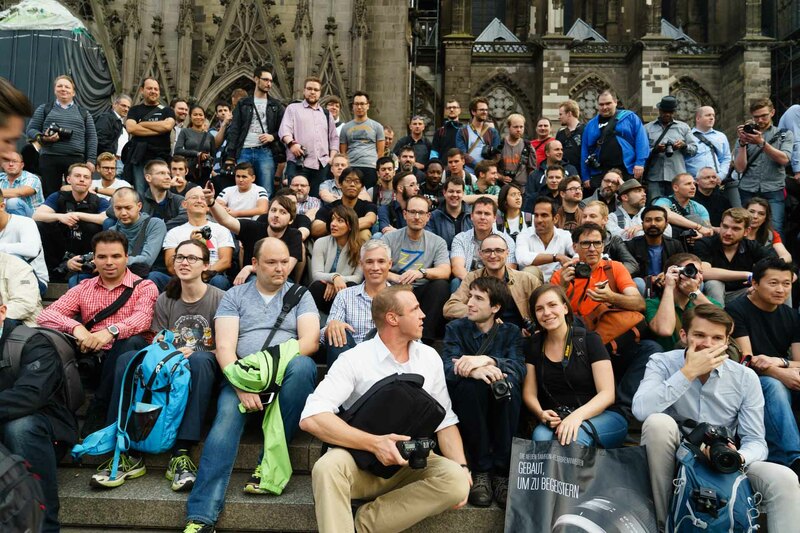 At the end of the day, Photokina is an event that brings people together. All of us work in the same field year-round, but we are mostly isolated from each other the vast majority of the time. When an opportunity to meet in person comes along, we must make the most of it and I, for one, am very glad to have done just that. 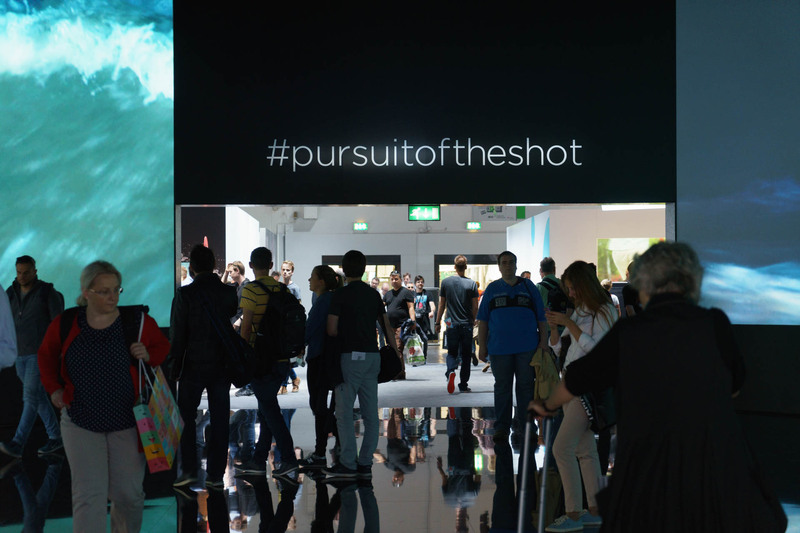 Photokina 2016 has been an incredible experience. I can’t wait for the next one. 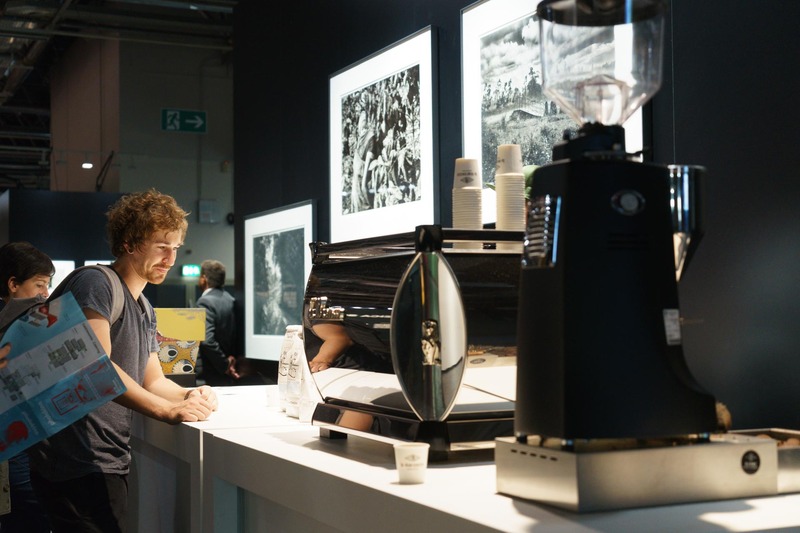 Overall, my first Photokina has been a tremendous experience. I worked like a madman, slept far too little, and had far too much stuff on my plate every day. And I loved every single minute of it. Here’s to Photokina 2018. I can hardly wait. Lenses: Sony Zeiss FE 24-70mm F4 + Sony FE 70-200mm F4 + Sony Zeiss FE 35mm f/1.4 Distagon + Sony Zeiss FE 55mm f/1.8 Sonnar. Camera insert for the backpack: A-Mode IN02X. 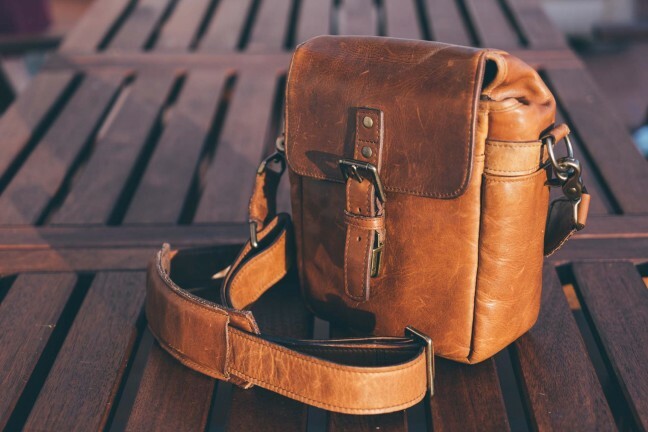 Camera bag: Think Tank Retrospective 5.